What’s the most time-consuming part of content creation? You know, besides the writing. Chances are it’s all the research you have to do — getting your hands dirty digging deep into your topic. Buffer’s Kevan Lee, who clocks in an impressive average of 2 hours and 58 minutes per blog post, puts research as the second most time-consuming part of his writing process, taking up almost a quarter of his time. Incorporate research into your content in a meaningful way. But time-consuming tasks are generally where the most innovation can happen. Here are some tips for cutting down on the time you spend researching, so that you can spend more time on the rest of the production process. While it's more common sense than it is a "hack", quality control is still something that is neglected when researching content. Your content is only as credible as your resources. Your first priority when researching shouldn’t be to find compelling stats and articles, but to weed out the weak ones. Take this tongue-in-cheek post, for example, about statistics in B2B content marketing, which I’ve actually seen cited in a few articles. This sort of thing usually only happens in haste, when the time isn’t taken to adequately verify a resource, especially when you’re cutting it close to a deadline. It’s important that you have a mental checklist for qualifying every resource right away so you can save time. Is it a polished, credible piece of content? Who's author? What does their bio say about their street cred? If it’s an original study or report, what was the sample size and methodology? How did they control for error? If it’s curated, can you find the original source? Be especially wary of research that's been curated for another article — it's been passed through the “broken telephone” known as the internet, losing more and more of its context after every instance. Statistics, especially, are often sought out for the sole sake of supporting an argument. Always find the original source whenever you can. You’re borrowing the credibility of the research you use, so you should be careful around what you choose to keep. Learning how to read faster is one way to spend less time researching, looking for information and troubleshooting problems. Unfortunately, the way we’re taught to read in school is actually not the most effective way to do it. Acceleread is an app that helps you practice a faster method of consuming information and unlearn years of reading "the wrong way". Usually we read aloud in our heads, sounding out every word, in a process called auditory reassurance. But, if you actively cut back on that habit, and try absorbing meaning based on the visual cues of the words alone, you can triple your reading speed. It takes some practice, but eventually your comprehension catches up with your speed and Too Long; Didn't Read will be less of an issue. You might not be able to read a novel in 25 minutes like some incredible people, but you’ll be able to determine whether a resource is worth your time or not without CTRL+F'ing in the dark. Chances are you read a lot of industry-related content on an ongoing basis, even when you don’t have a blog post looming on the horizon. Put all those hours to better use by developing a process for actively curating research and statistics. Every time you stumble across something that might make good fodder for future content, save it! Personally, I use Pocket to collect compelling articles, industry reports, and listicles of statistics to refer to in the content I create. You’re going to be reading up on your industry and audience anyway, so it’s a good idea to continually curate the good stuff. I’ve created recipes using IFTTT to automatically add new content from my favorite blogs — like HubSpot, Content Marketing Institute, and Unbounce — to encourage me to read/listen to more of the right stuff in Pocket. It's easy to archive content I don't want and tag the ones I do want to keep in mind for the future. Here’s an IFTTT recipe I made for the Uberflip Hub, if you want new posts auto-saved to Pocket to read (or listen to) later. Research isn’t just statistics. It’s also about keeping on top of developments in your industry, understanding the overarching conversations, and being able to speak intelligently about what’s going on with reference to studies or thought leaders. Collecting all these resources is great, but how many times have you thought, "There's this great stat/graphic to back up what I'm saying. I just wish I could find it..."
That's why I recommend saving even more time by regularly curating specific bits of compelling research from studies in one place. Trello is often used as a project management and team collaboration platform, but it’s also a great tool for curating and organizing your own research. I rely on this especially when it comes to writing an infographic or eBook where research can get pretty intensive. What I love about Trello is that you can create cards and add to them by dragging and dropping snippets of text, links, and images easily from whatever page you’ve got open. This works best with a dual-screen setup: one monitor for conducting research and one for collecting it. I just drag the text or image I want to collect into the appropriate list to create a card, then I highlight and drag the link to the source onto the card. It takes seconds — literally. What you end up with is a good source of inspiration for new content, as well as a place to recover useful stats from the past or find ones that pertain to the topic you're tackling at present. No more racking your brain to remember the source of something you read months ago. As a writer, I love Google Docs and Evernote for different reasons. But what I love about Docs is how it lets you use Google’s search feature while writing. There are handy, often ignored, features and shortcuts in Google Docs that give you a few ways to search for sources and apply links directly without ever leaving the comfort of your Doc. A simple Ctrl+K lets you easily apply links to anchor text, for internal links or external links to sources, where you know the exact search query that will let you quickly hunt down what you're looking for. Do primary research the easy way: Ask! Most of the time when we curate research we rely on easy-to-access secondary sources. But to get a competitive edge against other content in your niche, it’s good to try to find primary sources of information that none of your competitors are using. One method is simply to reach out to an expert. Ask an influencer for a quick quote or answer to a question. Tap into your network and find experts with some klout in your industry who are willing to let you borrow their brains. "As an added bonus, you get to use block quotes to make these great bits of insight POP!" Put your journalist's hat on and hit the streets. Most content creators love creating. I know I do. 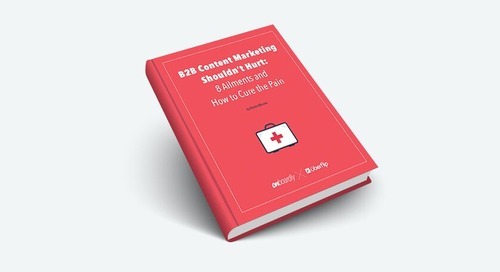 Research, on the other hand, is considered tedious by many, yet it's an inevitable part of effective B2B content marketing. But it doesn't have to be so hard. When something takes up a lot of your time, you can dread it every time it comes up. Or you can invent ways to save time and effort, making it less of a burden in the long run. How do you streamline your content research? Share your tips in the comments below! 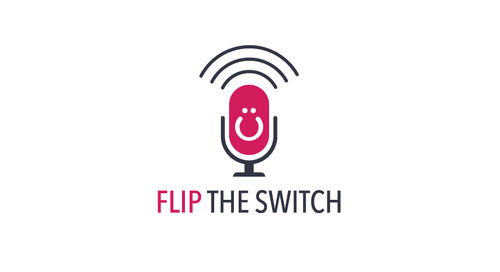 We're launching a weekly podcast called Flip the Switch (and we need your help! ).